We’ve all heard of an entrepreneur – you might even be one – but have you heard the term, solopreneur? Similar to an entrepreneur, solopreneurs are business builders, creative thinkers and risk takers. However, there is one big difference. A solopreneur builds their business alone and seeks to keep it that way long term. Let’s discuss the pros and cons of being a solopreneur. A solopreneur is someone who runs their business alone and is ultimately responsible for its success or failure. Entrepreneurs will usually turn to employees to help grow and expand their business over time, while a solopreneur will continue to run things themselves and instead may outsource providers and engage with freelancers for help. 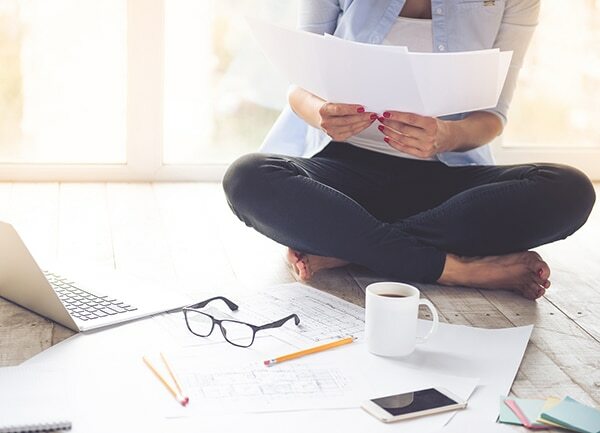 Typically, entrepreneurs seek to grow their business to eventually sell it to a bigger brand or business, but a solopreneur wants to keep their business their own. A solopreneur maintains complete control of their business at all times. You’re not necessarily looking to grow a business that expands worldwide or transforms into a global empire, you want to grow your business but remain in control of your venture. The benefit? You get to keep most, if not all, of the money your business makes. Another plus is you don’t have to get permission from others to make big decisions or change direction. Without the need to report to shareholders, stakeholders or even employees, you maintain the freedom to do as you please. And when the workload gets too much, you can hire help, but it will most likely be the services of an outside company, a freelancer or contractor. At the end of the day, a solopreneur is responsible for their business success – there is no one else to blame. While this can be an advantage when business is going well, when things get tough, there is nowhere to turn. You have little support around you and it can be isolating and lonely at times. It can also be easy to lose inspiration and get overwhelmed by the mountain of tasks that come with running a small business. You have limited outside perspective and no co-workers around you to brainstorm or collaborate with, but it just means you’ll need to look beyond your business to find help. Just like being an entrepreneur, a solopreneur can be an exciting, yet challenging journey. Depending on the type of business you are looking to launch, becoming a solopreneur could be the perfect path for you. For more entrepreneur advice, check out these resources.